Does holding an erroneous theological understanding (a "false teaching", if you will) make someone automatically a "false teacher", or even - in the extreme - a "heretic" (one who has departed so far from the centre of Christianity that they cannot truly be considered "Christian" any longer)? 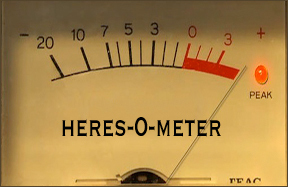 Of course, there are many in the blogosphere who seem to think that they've developed a fool-proof "Heres-O-Meter" that can flawlessly detect even the slightest toxic deviation. Unfortunately, the "margin for error" on these Heres-O-Meters often tends to be quite large. most of the people who took the quiz were "Chacedon Compliant" (orthodox in their Christology) but had a wide range of secondary influences, some of which would qualify as questionable, if not heretical, beliefs. To call a teaching or practice into question is not synonymous with judgmentally calling someone a false teacher, a heretic, or labeling someone as leading others into delusion. Ultimately, it is the teaching and/or practice that is the issue, not the personalities. 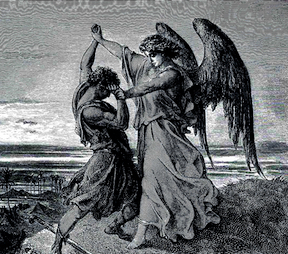 Bad theology in some areas doesn't make people heretics and/or false teachers, if they are also Chalcedon compliant. Incorrect in some areas, taking things to extremes in others, not handling Scripture carefully -- yes. Heretics (outside of the faith)? -- I'm just not prepared to go there, if they are also Chalcedon compliant. Besides, the battery in my Heres-O-Meter is dead. And the warranty ran out. The instructions were written in FOR-TRAN. And it never really worked right in the first place, anyway. After almost two years of research and writing, the Post-Charismatic project is now officially "live"! "Rather than watch our wounded brothers and sisters turn their backs on the faith or reject genuine spiritual experiences, those of us who identify with the charismatic renewal should determine to help rid our movement of its extra baggage." J. Lee Grady, editor of Charisma Magazine, wrote these words over a decade ago, as he called charismatics to some house-keeping in their own movement. 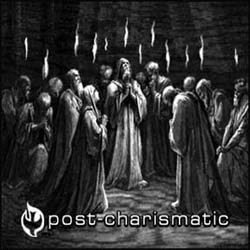 Grady also reported that by 1990, there were an estimated 92 million people worldwide who referred to themselves as "post-charismatic". Although current statistics are unknown, it is safe to assume a significant increase in that number since 1990. A re-construction (Spirit & Praxis) of the areas most affected by these movements: a biblical view of authority and the "five-fold" ministries, what it means to live by faith, spiritual formation (discipleship), and finally, what it means to be "communities of the Spirit"
Through the web-coding help of Brother Maynard, there is a forum following the Spirit & Praxis section, where conversation can continue to take place for those who consider themselves "Post-Charismatic, but not post-Spirit". "Dusty dreams, reminding him of a recurring prophetic vision... a vision he used to share publicly, a vision of gifts, callings, and dreams that went unfulfilled. "He remembered the feeling of calling people forward to respond to this vision, of praying for person after person after person, that God would restore these dreams, dust them off, fulfill them. That these forgotten gifts would resurface, how God hadn't changed his mind, that the gift remains. "He recalls how encouraged people were, how touched, and how these prayers sparked new life back into the lives of a number of folk who'd simply grown weary. "Was that all a dream? he muses. Was it real? Have I become one of those people? Who knows..."
Brother Maynard asks a crucial question: Were those of us who prayed life back into people whose dreams had died or become dormant -- and I remember praying for people about these very things -- wrong to have prayed that way? Were we simply unable to recognize that dreams die and that's just the way it is? And now do we just understand things better, because we've hit the same wall ourselves? Or, as Bro. Maynard wonders, have some of us become those people who need others to pray for us, that God would restore gifts, callings, and vision? If people want to pray that way for us, will we let them? Or will we shy away, and if so -- why?